The program’s purpose-level goal is to develop child friendly school models that are truly excellent across several dimensions including educational quality, inclusiveness, and local stakeholder (i.e., parents, community, and local government) engagement with the aim of ensuring smooth transition from community pre-schools to primary schools. Project Objective 4: The management capacity of local partners to administer development assistance increases in a way that enhances educational access and quality as well as community outreach. The USC project have consulted with school stakeholders 12 target schools in Kampong Cham, Siem Reap and Ratanakiri provinces to assist schools in recruiting community teachers to teach in the state schools, as a results all target schools are waiting for contract teachesr that supported by MoEYS, if MoEYS are not provide contract teachers, schools will consider community teachers that supported from KAPE. Project team have collaborated with pre-school teacher to set up a new school support committee SSC. In the past, the pre-school at Hanchey ran school without school support committee. 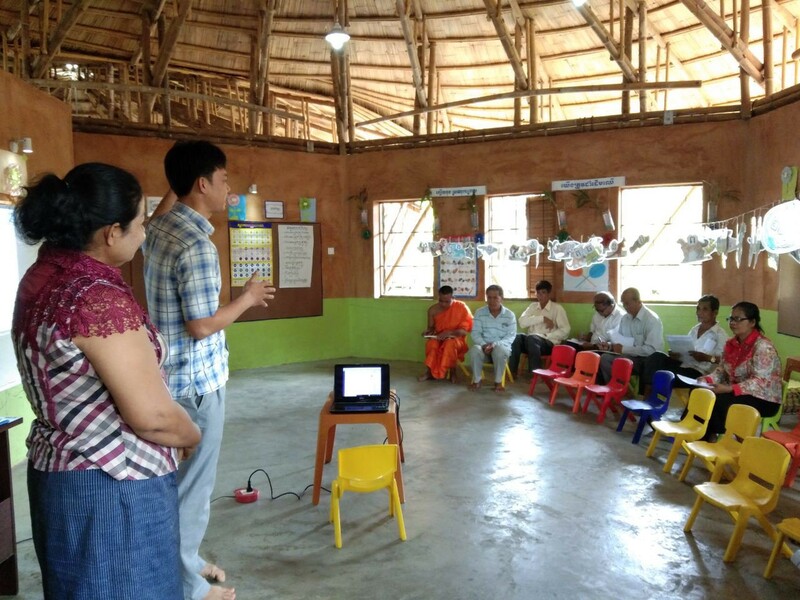 Now the school have a new school support committee who participated from school stakeholders include commune council, chief villages, month, primary school principal and parents. The SSC is assisting school to do enrolment campaign and maintain school environment. Training Workshop for teachers/directors on CFS teaching methodology. Provide training in basic teaching methods for Community Teachers. Provide foundational workshop on using Benchmark/RRS /Reading Toolkits for Grade 1, 2,& 3. Provide training to SSCs to strengthen engagement and general capacity. Support pre-school activities as teacher training, teaching materials, children snack, community teacher salary, improve school environment and others.